Overseas Instruction in Counseling, a faith-based missions ministry, was launched in June, 2006. The very next month Susie and I traveled to the Philippines to conduct the first of five annual biblical counseling conferences in partnership with the international evangelism and discipleship ministry, Word of Life, Philippines. 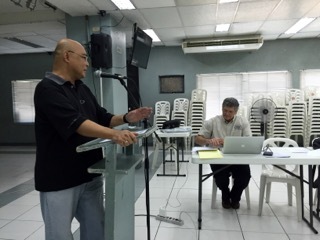 The director at that time, Mike Foster, had identified the need for soul care based on biblical sufficiency for the pastors in the Philippines. He invited us to begin the process of addressing the need for biblical counselors who could train others to also do biblical counseling. So with not much more than an awareness of a global need – i.e., no financial support, no curriculum plan, and no associate teachers – OIC journeyed to Calauan, Laguna, to glorify God through the spiritual strengthening of pastors and churches. And we made a lot of mistakes! We discovered that annual training sessions were too infrequent, because the momentum of what we were trying to accomplish was lost with such long intervals between meetings. We discovered that between-session assignments (“Projects for Growth”) were necessary to disabuse our trainees of the idea that these were just “conferences” or “seminars” and to reinforce the understanding that this was actually a training program. We discovered that such a training program must include a practicum component, because just talking about biblical counseling and actually doing biblical counseling are two very different things. And we discovered that we must involve others in the biblical counseling movement as trainers so that our trainees would be exposed to the best practices of the best practitioners. From its earliest days OIC has maintained a clearly stated strategic objective: To assist in the initial creation and/or continuing development of national biblical counseling training and certifying organizations. The concept of culture-specific and locally led biblical counseling organizations is a vital element in the global growth of the biblical counseling movement. Anything else is potentially a culturally imperialistic approach. This goal, developing culture-specific national organizations, is accomplished by “training biblical counseling trainers around the world” (as stated in our mission statement), but it transcends the idea of merely doing training programs. Should we “train, then create” or “create, then train”? We have opted for the former approach; we make a long-term commitment to work with foreign nationals in multiple locations in each nation. Then we bring together the leaders of the geographically distant training groups to form a truly national body. Other biblical-counseling ministries with connections in other countries have opted to identify one person who is interested in biblical counseling in a nation, encourage him to begin an organization (i.e., register a name) even before there is a curriculum or colleagues, and then develop the ministry. Sometimes these organizations simple borrow the curriculum of US-based ministries. Should the certifying organization train the people it certifies? Since this structure would never be allowed in secular, professional occupations (medicine, law, etc. ), we’ve discouraged this practice in the national ministries we’ve helped to create and strengthen. Should there be a “continuing education” requirement to maintain certification? Again, since such a requirement is a standard practice for those in secular professions, we encourage those with whom we work to include such a requirement in their culture-specific certification protocol. The culmination of nearly 10 years of ministry and of 17 trips to the Philippines came for us on Tuesday morning, February 2, 2016, when 16 men representing various church groups and locations gathered in Manila. 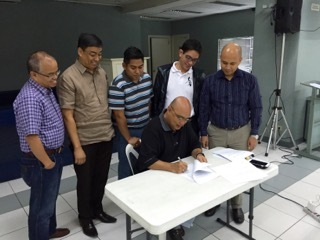 Robbie Casas, Senior Pastor of Guiding Light Christian Church, Baguio City, agreed to serve as Chairman of the Board of Directors for the new organization, and a group of five other leaders agreed to serve as board members. 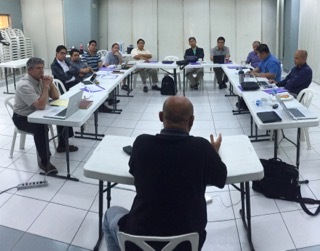 Other Christian leaders were invited to Manila to provide counsel and encouragement. (1) Why Are We Here? Developing A Culture-Specific Training and Certifying BC Organization: What WillTraining Look Like? (2) Why Are We Here? Developing A Culture-Specific Training and Certifying BC Organization: What WillCertification Look Like? Jones Cumpio, a student in that very first program in Laguna and now a board member of the nascent organization, shared a wonderful testimony. (It’s on our website; you really should read this!) And, after presenting ten options for names, Chairman Casas led the group in selecting the name of the new organization. Joshua Santiago, a board member and an attorney, presented the necessary documents to meet the government’s requirements for such a ministry. After a ceremonial signing, we thanked God – and took a picture!More pictures are available on the OIC Facebook Group page. Recognizing that this fledgling organization would need some initial operating funds, we asked the folks in our Manila training group (about 250 people were taking our Module 4 training that same week), to prayerfully consider contributing a gift. They spontaneously gave about 125,000 pesos—more than $2,600! When the same appeal was made the next week, the group of about 85 folks in Cebu gave another 35,000 pesos—another $750. This generosity signaled to us and to the organizing team that those we’ve trained are excited about and are willing to support their own national biblical counseling organization. So, for OIC – Mission Accomplished! But we will not, of course, leave our dear friends without encouragement and mentoring in whatever measure they need. 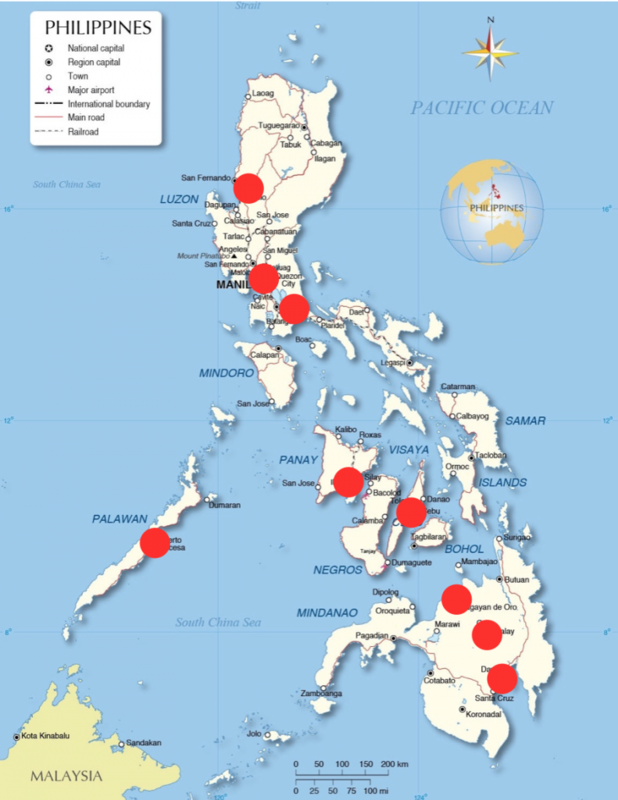 We joyfully anticipate returning to the Philippines to witness the growth of this new ministry! In the meantime, we’ll continue to serve Christ and our national partners in the twelve other nations that are “in process” toward the same goal.